This upcoming Monday is Memorial Day! I would like to acknowledge and thank all who serve this beautiful country and those who have laid down their lives for us to continue to live freely. If you're like me and have a barbecue to attend, I have some tips on how to stay poolside stylish! Accessorizing is a girl's true best friend. These three pieces are my go-to poolside looks. For starters, my Bena in the upper left is the ultimate Boho necklace. The bar style is on trend, and turquoise is always good to have on hand (it completes any outfit, especially when going to the beach or pool party). My Bahati earrings on the right are truly meant for water. Since the ear post is elongated, you wont have to worry about these babies coming off or getting lost. They are shown in chrysoprase but are also available in pearl. 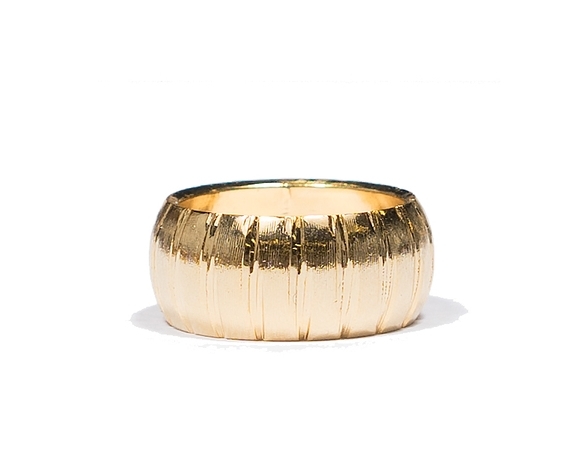 My Wiley ring to the left is a great statement ring for staying golden. The sun will reflect nicely off it and catch everyone's attention! Find more gems and jewels here. Speaking of being out in the sun, here are two of my favorite products to use when out and about in the heat. Both products are from Supergoop!, a skincare brand dedicated to being free of parabens, oxybenzone, or synthetic fragrances. They make it their mission to have lightweight and easily absorbed products that can be used with any skin type. The Defense Refresh Setting Mist SPF 50 pictured on the left is one of my favorites. I use it all the time, and even carry a travel size in my purse. Skin cancer runs in my family so I'm always trying to find different ways of protecting my skin. One can never be too vigilant in safeguarding against the aging effects of the sun! To be truly sun safe, one should reapply sunscreen every two hours while out in the direct sun. If you're like me and put your sunscreen on under your makeup every morning, the last thing you want to do is to reapply all of it a few hours later. This eliminates that problem because all you have to do is spray it on top of your makeup. Genius! The mist is hydrating which definitely makes this product a 2-in-1 as it doubles as finishing spray and a sunscreen. It smells great and has a cooling effect as two ingredients include rosemary and peppermint for improving overall complexion. Living in sunny Southern California, this is one of my favorite products and I never leave home without it! Find it here. Sun protection shouldn't just apply to your face & body while your lips are overlooked. Most lipsticks don't include sun protection and traditional lip stick and glosses can actually magnify UV rays. A new product that I'm excited to try is called Lip Screen. It can be used on top of any lipstick or gloss to make it shield against damaging sun rays. With an SPF of 50, this product is guaranteed to keep you protected and moisturized. Instead of having to find lipsticks that have SPF in them and worrying about whether or not they're expired or not, you can just swipe this on top of your favorite lipsticks and glosses. That way if the SPF expires, you only have to replace one item instead of all of them. Another great, multi tasking product. Find it here. Legend of Lido is a new brand that specializes in making these canvas pouches now available on my website. They come in different sizes and tons of cute patterns to choose from. The prints are actually one-of-a-kind that are inspired by a love of travel. The top zipper closure features a genuine leather pull, opening to a lined, cotton canvas interior with a zipper pocket. The Osprey of the Sea pouches from The Wanderer collection are a perfect accessory for your Memorial Day weekend style because of the unique pattern and bold colors. These will pair nicely with jean shorts and a white blouse or your favorite bikini and kimono. My favorite is the Osprey of the Sea in Coral! Great for casual days and dressy nights. 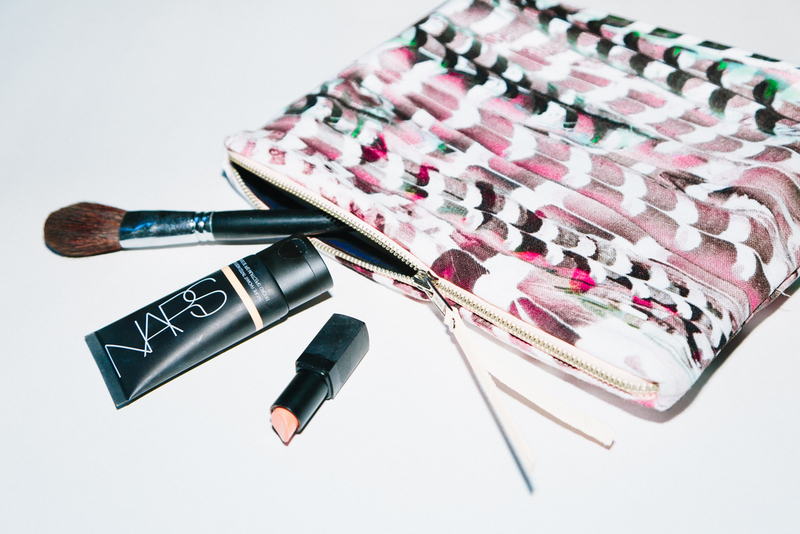 Ideal for: travel, beach reads, and cosmetics. Check out their other patterns here. Love the idea of keeping the bevvie in the watermelon. What better way to stay refreshed than with watermelon and booze? This recipe for Watermelon Margaritas is so simple and only takes about 10 minutes to make. This is a great idea if you need to bring something to your family Memorial Day celebration, or just fill up your cooler and hit the beach. I personally love watermelon; the taste of course is amazing, but the rich pink color is always a reminder that summer is just around the corner! If you want to be extra fresh, there are step by step instructions from Instructables on how to use the watermelon as a dispenser, like shown in the picture. They also give instructions on how to carve designs into the rind. If you want to show off your patriotism, try carving an American flag!